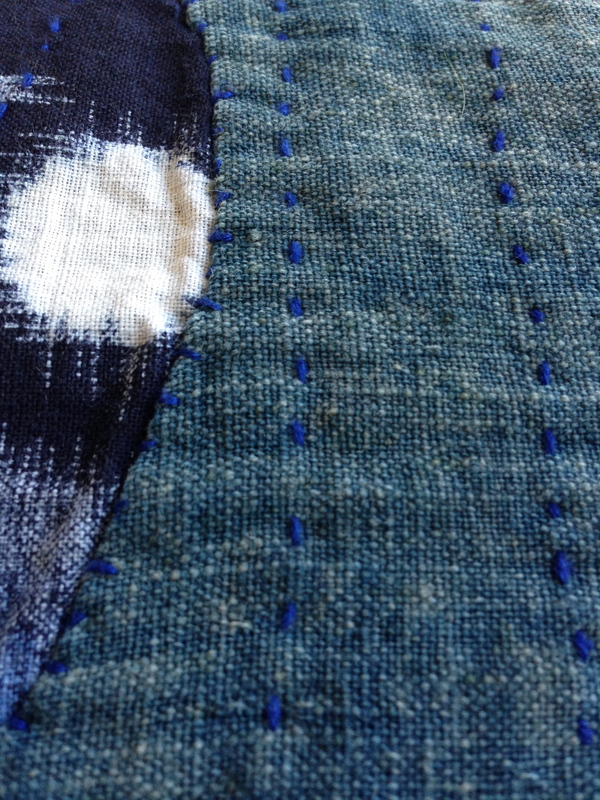 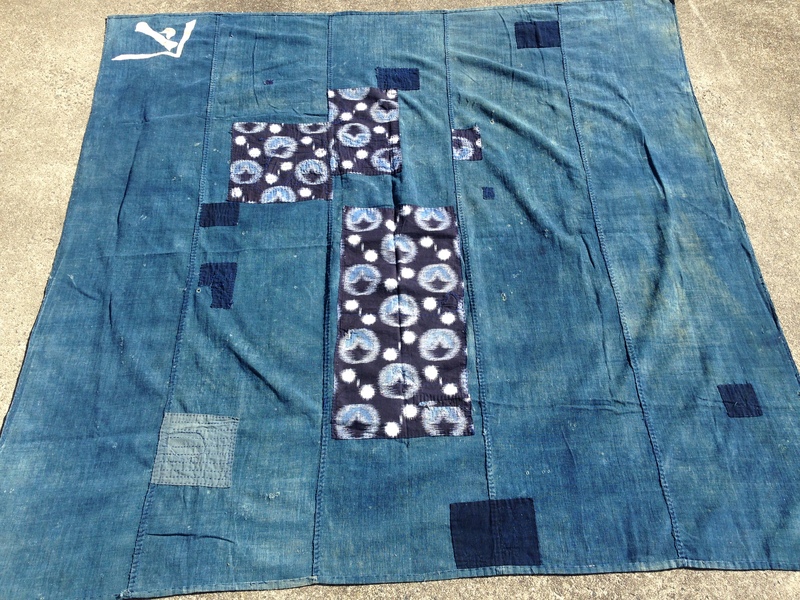 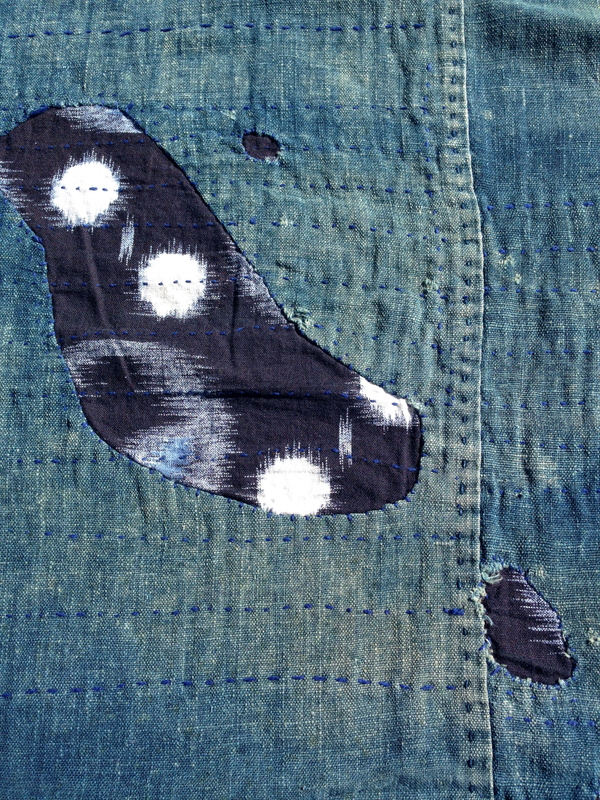 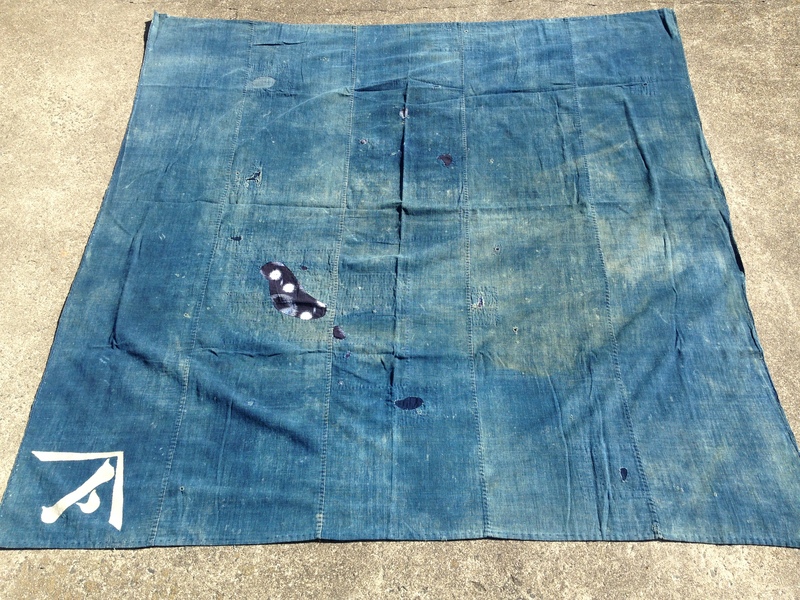 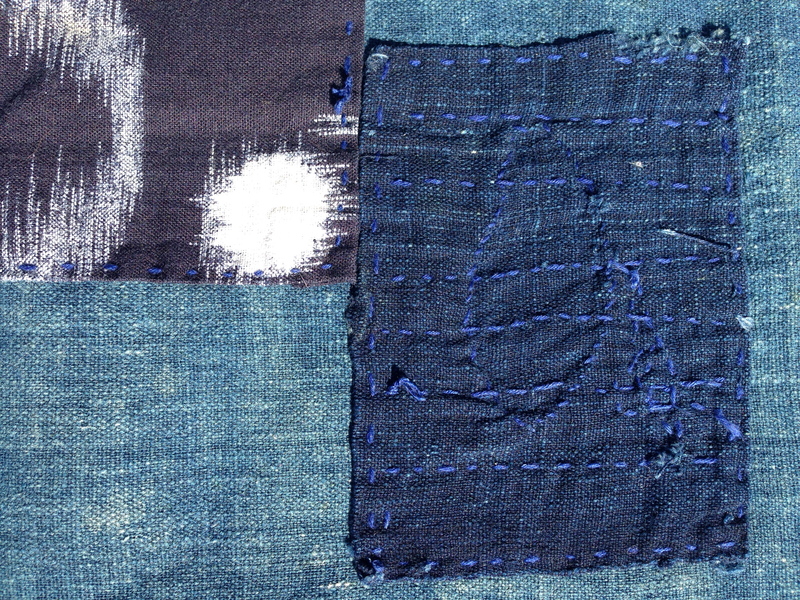 This large Indigo dyed furoshiki has been patched multiple times with smaller indigo dyed patches and several pieces of indigo kasuri fabric. 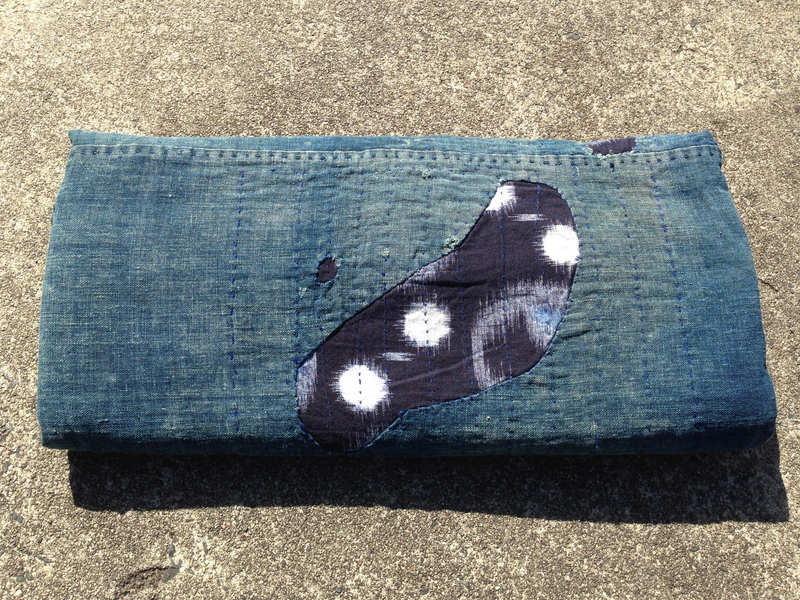 The furoshiki was made from hand spun and woven cotton. 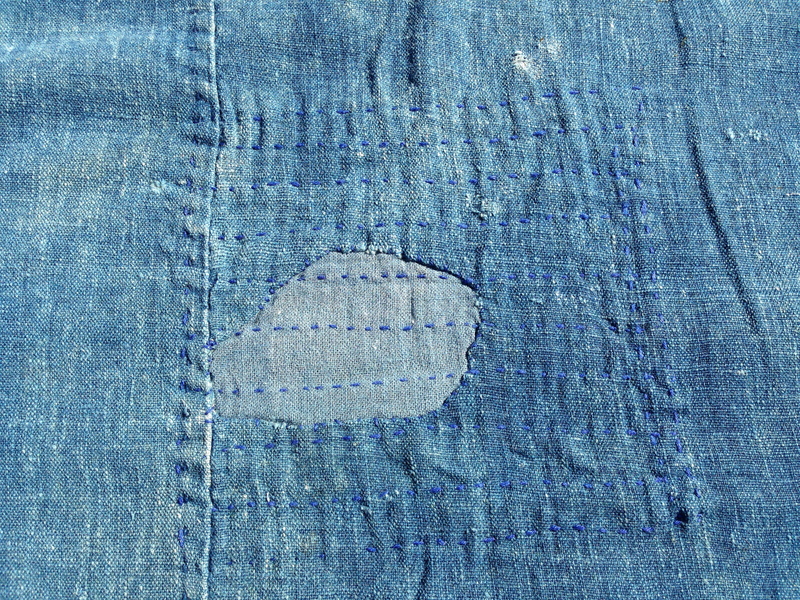 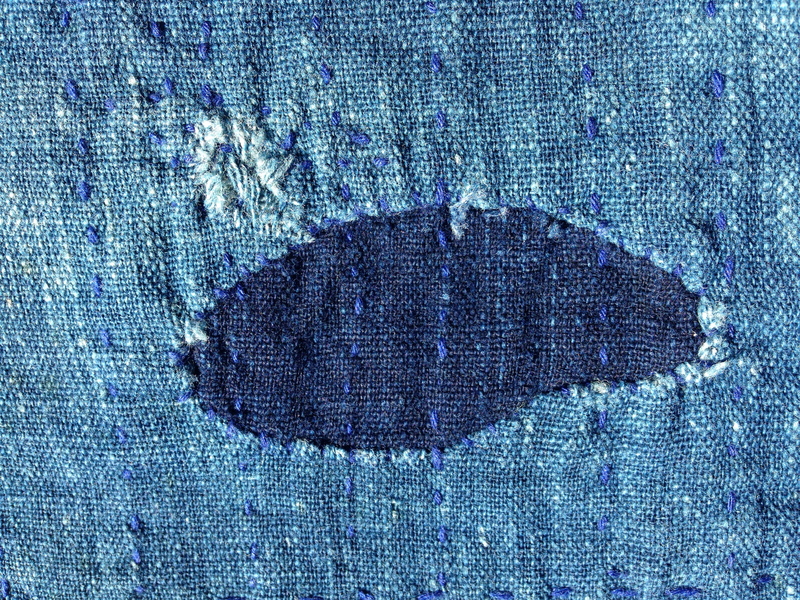 The worn colors and textures make this an amazing piece of fabric history.